Crown lengthening is a fantastic way for people to lengthen the crowns of their teeth. Most people with “short teeth” generally do not have a problem with the actual length of their teeth. Instead, the problem is that their gums extend too far, which can be fixed through crown lengthening. Crown lengthening is a surgical procedure in which excess gum tissue is removed and the gum line is altered in an effort to make teeth look longer. The following is everything you need to know about crown lengthening in order to determine whether crown lengthening surgery is right for you. Whom is crown lengthening for? Crown lengthening is most commonly performed on people who are not happy with their smile, particularly those who have small, short teeth. Many with small teeth desire to have a fuller smile that shows more of their teeth and less of their gums, which they can achieve through a crown lengthening procedure. However, there are other times when a crown lengthening may be necessary for oral health. 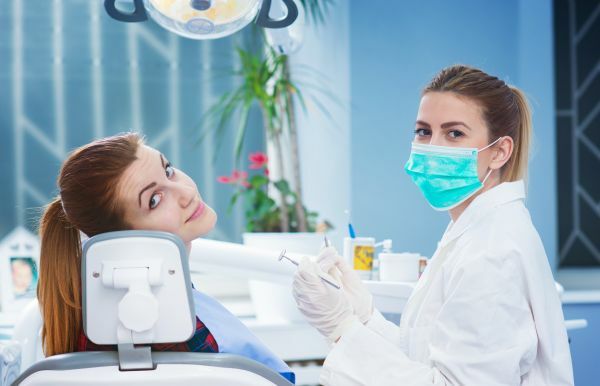 When the crown of a tooth becomes too short, there is a risk of the tooth falling out, and a crown lengthening procedure may be able to prevent that from happening. Additionally, longer crowns are easier to brush and floss. Although crown lengthening is a surgical procedure, it is not too invasive and is easy for most oral surgeons to perform. First, the procedure involves placing the patient under anesthesia. Afterward, the dentist or oral surgeon begins chipping or cutting away excess gum, and in some cases, some bone material may be taken as well. After removing the excess gum, the dentist or oral surgeon thoroughly cleans the mouth and stitches up the affected area. The entire procedure takes only a couple of hours at most. The most obvious benefits of crown lengthening are cosmetic. Short teeth can cause one to become self-conscious, and crown lengthening is a way for many to achieve the smile they have always wanted. Additionally, crown lengthening makes it much easier to practice good oral hygiene. While short teeth can be difficult to brush and floss, teeth with longer crowns are easier to care for. By being able to practice good oral hygiene, the chance of gum disease or teeth complications is greatly reduced. While crown lengthening certainly has its benefits, there are disadvantages to be mindful of as well. The most notable drawback to crown lengthening is that it is fairly expensive, as is the case with any surgical procedure. While crown lengthening for medical purposes may be covered by insurance, crown lengthening for cosmetic reasons typically will not be. Also, there are risks to be aware of post surgery as well, including excessive bleeding, pain in the gums and extreme sensitivity, although such side effects do not typically last for more than a week. Go to https://drcalldental.com for crown lengthening information or call Dr. Call Dental Center at (706) 425-6240.